Buy this item and earn 4 ClubPoints. 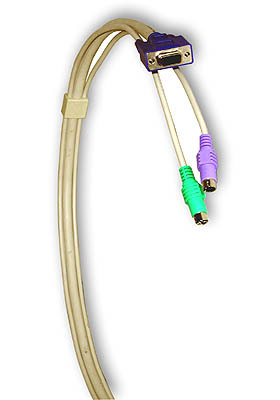 Zipped 3-in-one PS/2, VGA, KVM cables split into 3 connectors on each end, making it easy to identify which connectors belong to which port. • Green for PS/2 mouse.